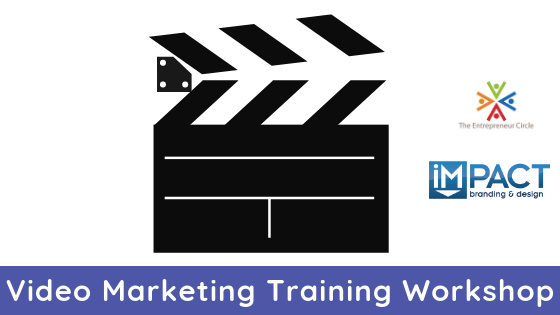 Video Marketing Training Workshop Please join us on Tuesday November 27 for the Video Marketing Training Workshop. You want to launch a video marketing program but where do you start? With a one-day, onsite training from The Entrepreneur Circle and IMPACT Branding and Design, we’ll help you master video production, video marketing strategy, and on-camera performance. By 2019, 80% of the content buyers consume will be video. The time to become the visual leader in your industry is now. Get your 2019 marketing plan off to a great start by learning what will make your videos successful and add to your bottom line.